Aroma Very intense floral and agave. Initial Taste Upon entry, a semi oily feel, sweet with no bitterness. Body Intense agave and floral, with a hint of caramel and cinnamon Finish A slightly heated finish of medium to long duration. The flavor of this one lingers for a while. 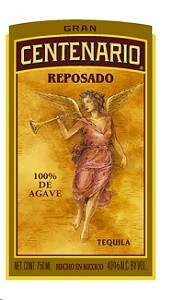 Gran Cenenario Reposado is a refined, elegant spirit with a well-rounded and balanced character. 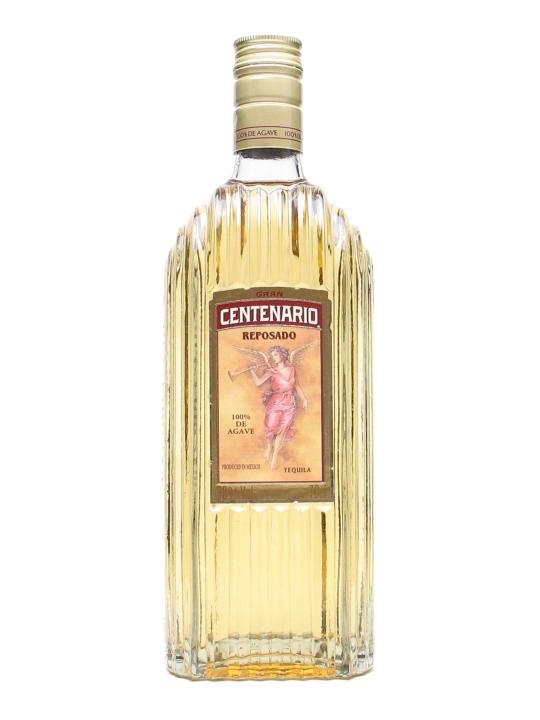 Unlike most Reposado Tequilas, Gran Centenario Reposado rests for ten months in French Limousin oak casks and utilizes the Seleccion Suave process, whereby older Tequila reserves are added achieving the perfect marriage of oak and agave notes. Subtle hints of vanilla and cinnamon as well as a citrus, pear, and tropical fruitiness emerge from Gran Cenenario Reposado. Its sweet, smooth, and complex flavor is delightful when sipped neat, on the rocks, or when mixed in ultra-premium cocktails such as the Angelita, teh Heavenly Margatini and the Pomegranate Angelita.